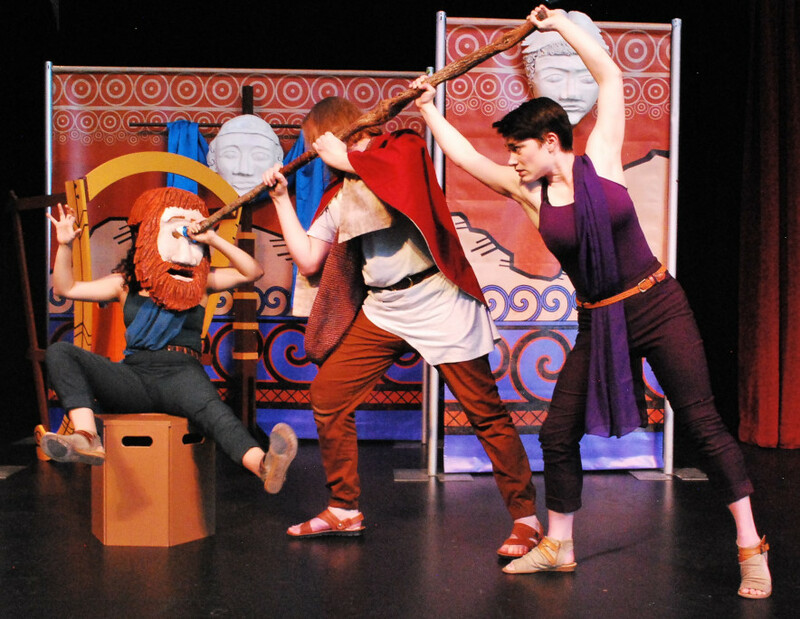 Journey with Odysseus as he and his crew battle the cyclops Polyphemus, survive the magic potion of the goddess Circe, and navigate their way through the Sirens’ songs! 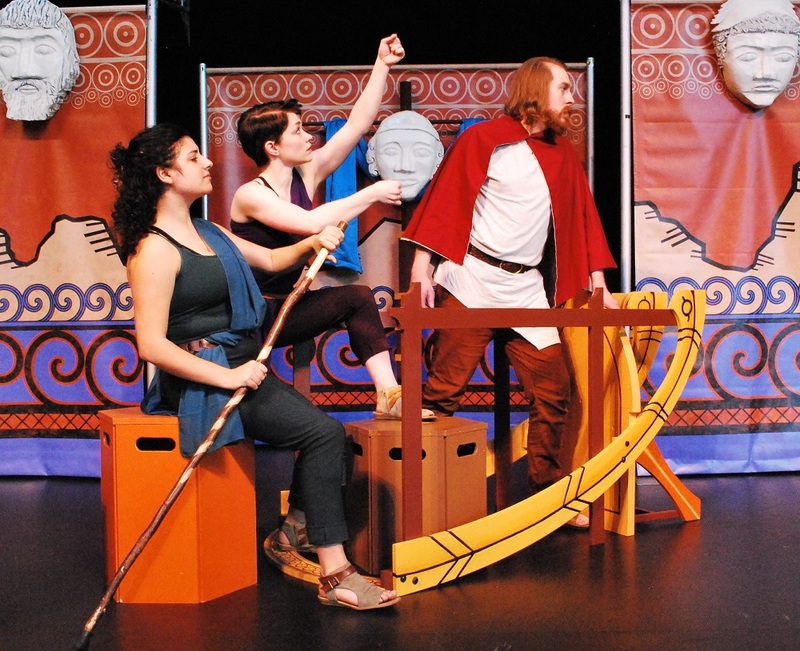 After being gone from Ithaca for the last 20 years, will Odysseus be welcomed or cursed to live life on the open seas? 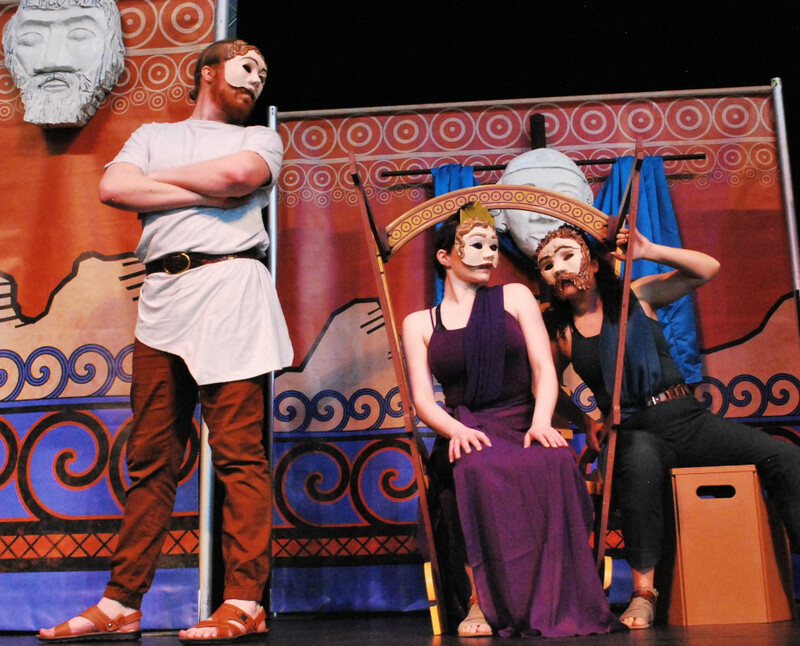 Inspired by Homer’s epic poem, The Odyssey: an exploration of Myth, Magic, and Monsters celebrates Greek tradition and theatrical mask, the importance of teamwork and problem-solving, and the power of ingenuity and perseverance. 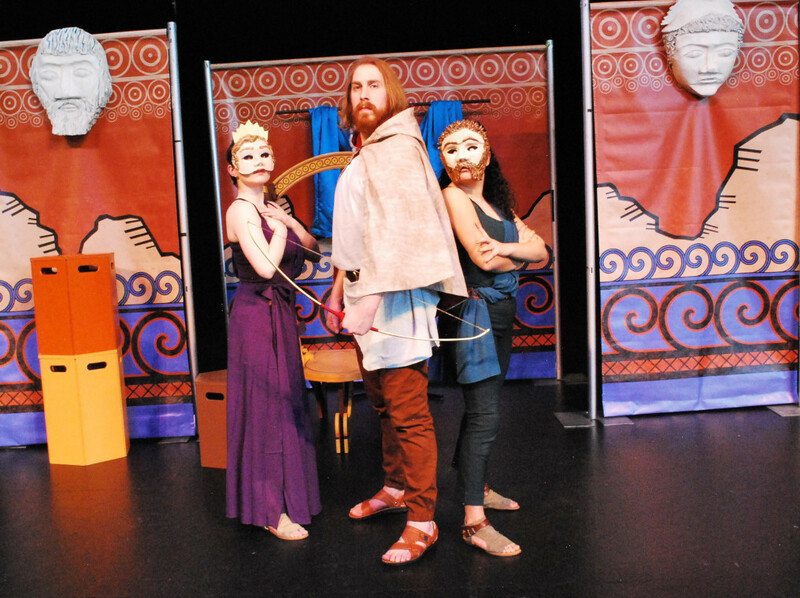 The Odyssey features artists Mark Fox, Devyn Grendell, Claire Marx, and Jordi Montes. It’s not too late to plan your summer adventure! 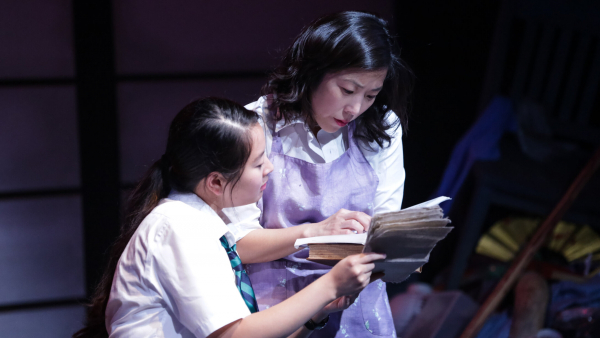 Bring Book-It’s 45-minute summer show to your event this July and August. Join the quest as these heroes come to life before your eyes! This exciting take on a classic tale is the perfect treat for your kids birthday party, summer camp, or just for fun! 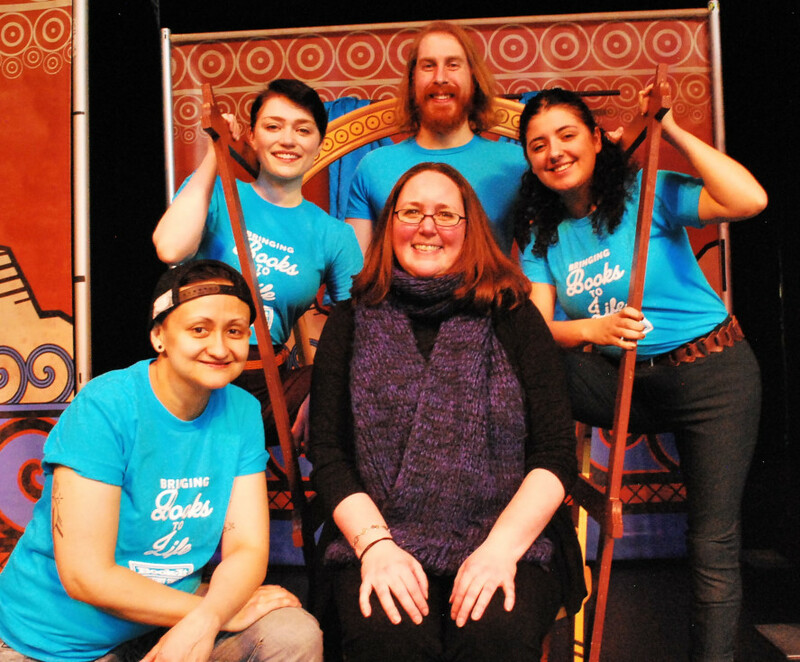 To book this show, call 206.428.6266 or email education@book-it.org. 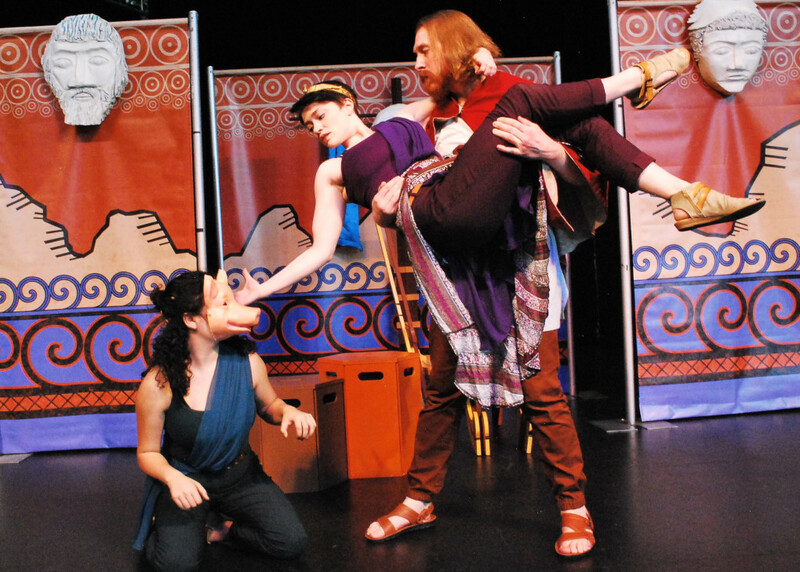 The Odyssey features artists Mark Fox, Devyn Grendell, Claire Marx, and Jordi Montes. Photo by Sasha Bailey.